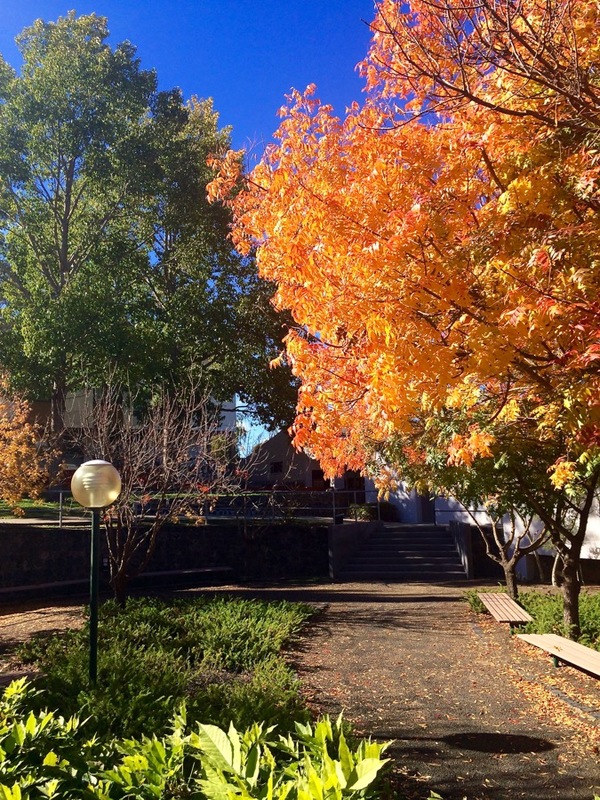 As we begin the transition from Autumn to Winter, there’s a last burst of colour before the leaves fall. This photograph was taken in one of the courtyards at the University of New England. 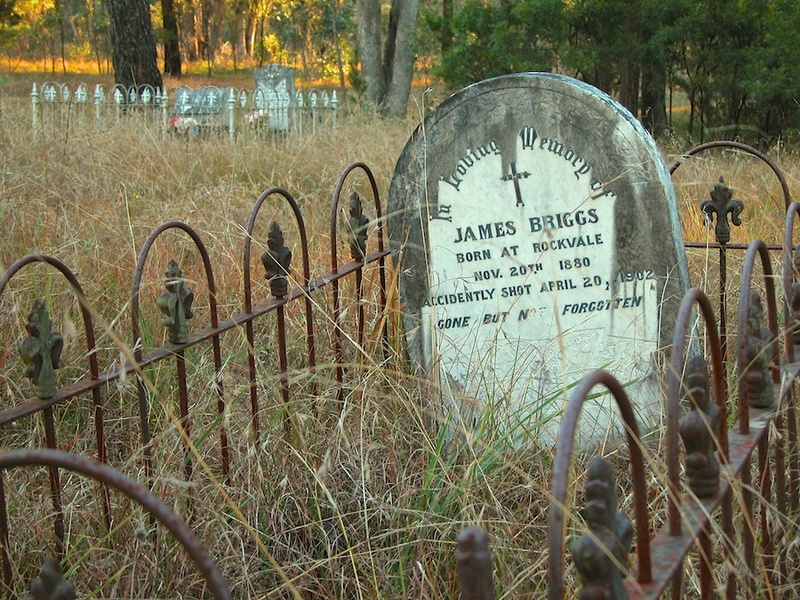 A headstone in the Hillgrove Cemetery tells us that James Briggs was accidentally shot on April 20, 1902.
through the head, death being instantaneous. verdict of accidental death was returned. ing Briggs's eye. Death was instantaneous.